If you want to eliminate lines and wrinkles from around your nose and mouth, you may want to consider Belotero®. This treatment is available to patients in Jupiter, West Palm Beach, and Palm Beach County at Supriya Aesthetic Dermatology. 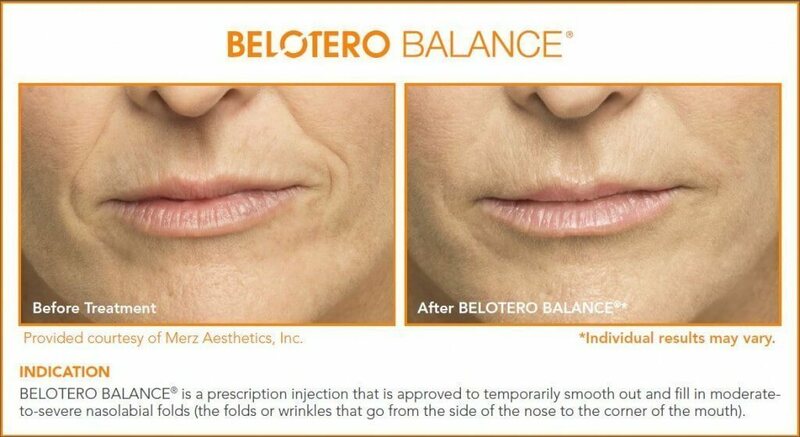 Belotero® is unique among other dermal fillers. This cosmetic treatment is specially designed to improve your appearance without affecting the natural contours of your face. 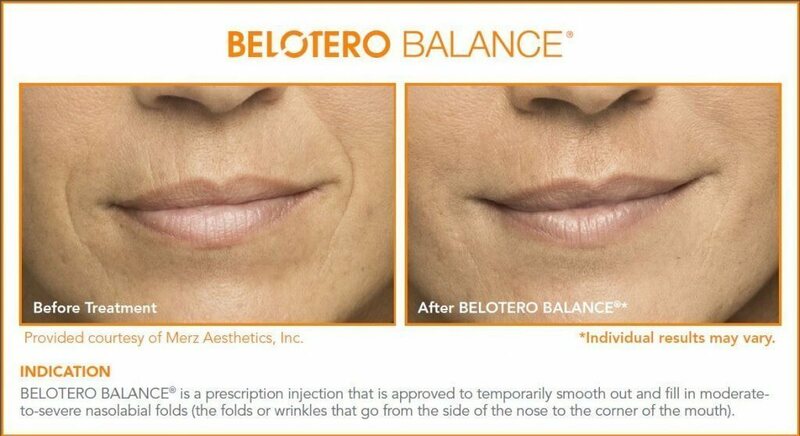 Belotero® is a dermal filler that corrects the deep creases around your mouth, known as nasolabial folds or smile lines. This product is also effective for vertical lip lines, lines at the corners of your mouth and marionette lines. Belotero® uses hyaluronic acid, or HA, to improve fine lines and wrinkles. HA is a substance that occurs naturally in your skin. Belotero® works by attracting water to the treatment area. This adds volume to your skin and corrects the lines and creases. 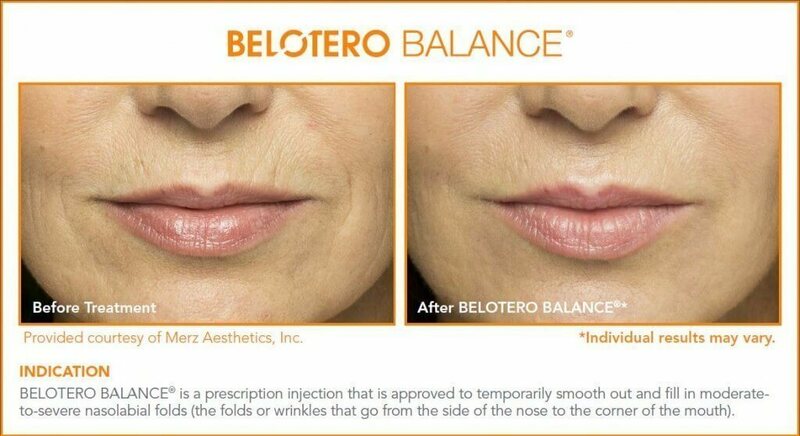 Belotero® is an injectable filler. Dr. Tomar uses a very fine needle to inject Belotero® into the treatment area. 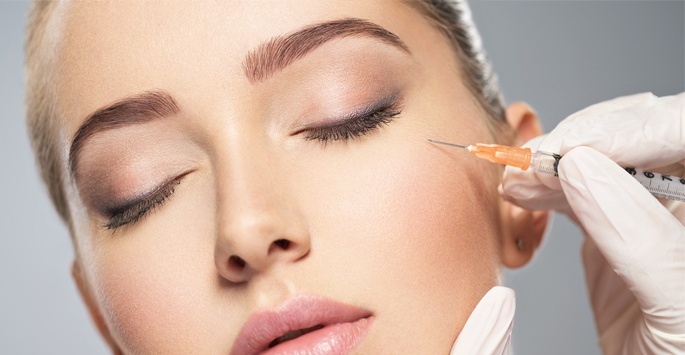 The number and locations of the injections are based on your individual treatment plan. You see results immediately after Belotero® is administered. You may need several treatments to correct deeper wrinkles and creases. Most of our patients enjoy the results for six months or more after completing their Belotero® treatment plan. During your consultation appointment, Dr. Tomar discusses the expectations of treatment based on your skin type, skin condition and extent of correction. Typically, patients who receive Belotero® treatments experience mild side effects that are localized around the injection site. These may include mild irritation, swelling, itching, redness, bruising, and tenderness. The side effects should resolve within a few days of your Belotero® treatment. Who is a good candidate for Belotero® treatment? Belotero® is a safe and effective solution for patients of any age who want to correct fine lines and wrinkles around their noses and mouth. Looking younger helps you feel better about yourself. Belotero® provides a natural looking correction to the fine lines and wrinkles around your nose and mouth that make you look older. Skin rejuvenation treatments are considered to be elective, so most insurance providers won’t cover the costs. To help make Belotero® affordable and accessible for everyone, Supriya Aesthetic Dermatology offers financing options via CareCredit®. We also accept cash, personal checks, and major credit cards. Contact us today if you have any questions about the cost of Belotero®. Dr. Supriya Tomar is a board certified dermatologist and expert injector of Belotero® for patients in Jupiter, West Palm Beach, and Palm Beach County. She has been doing injections for over 10 years and one of the busiest injectors in Palm Beach. She is well known for giving her patients beautiful and natural results and is a recipient of the Platinum Award from Medicis, the makers of Restylane® and Restylane® Lyft.